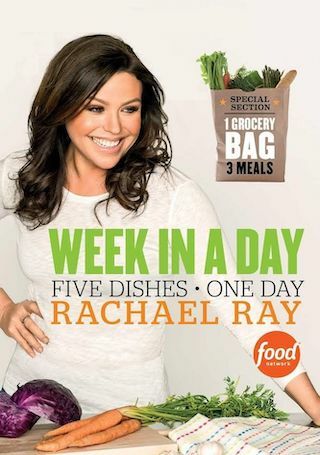 Rachael Ray's Week in a Day is an American 60 minute scripted food television series, which kicked off on September 25, 2010, on Food Network and is broadcast every at . The show is currently in its 4th season. If you've ever wished there was an easier and better way to get dinner on the table every night, you need Rachael Ray's Week in a Day. The woman who taught America how to make a meal in 30 minutes is back with an even bigger promise: one day of cooking, up to five days of eating! In every episode, Rachael will show you five meals you can put together in a single day. So when you come home from a hard day of work, the hard work in the kitchen's already done. Using the recipes, strategies, and tips from Week in a Day, you can eat well every night - even on those days when the clock is working against you.